Thorough User Experience development is the first step to ensuring the success of your marketing output, from user personas to form validation. Whether it is a complex user interface or a series of highly engaging email blasts, we create the perfect blend of function and beauty. Our team of experienced and innovative developers can solve almost anything. Security, accessibility, flexibility and control are a given. We don’t see the optimisation of our products as a “bolt-on” service. From general performance to SEO, it runs through everything we do, from the very start. Direct mail, brochures, reports, event signage, flyers, leaflets and so much more. No matter what your goal, we’re here to help. We have award-winning brand experts within our ranks, and our streamlined approach makes sure we deliver the perfect results without any hassle. We are currently developing a desktop application to control LIFX smart lightbulbs. 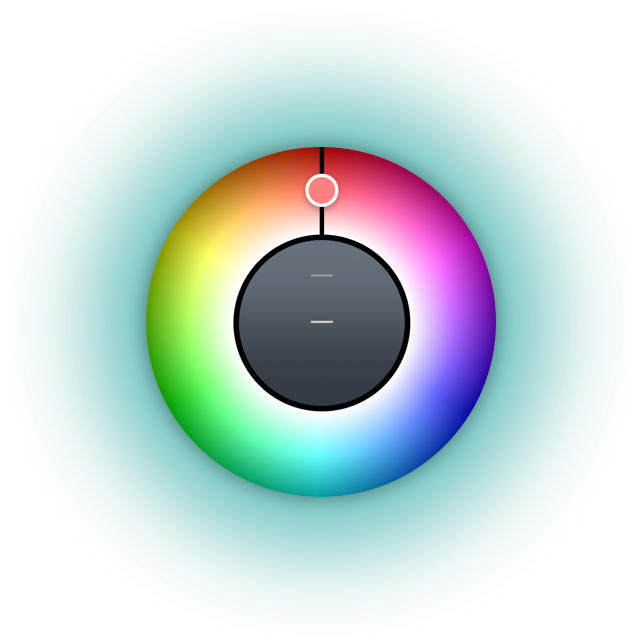 The light wheel is part of the user interface that controls the hue, saturation and brightness of the bulbs. We hand pick our creatives, so you get to work with some of the best in the business! We can be flexible in any situation to make sure we provide the best service to satisfy your requirements. The cost of the project is simply the cost of hours worked by your task force. No more. No less. You get direct access to our members, who focus solely on you, and they love what they do. Enquiry (optional)... Work with us General question Just saying hi! Send me updates about Skape. We have recieved your enquiry and one of our team will be in touch shortly.